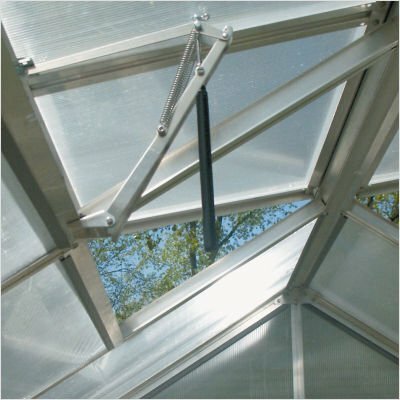 JU124 Features: -Material: Polycarbonate greenhouses.-Spring loaded.-Allows thermostatic control of roof vents.-Note: Take care to remove the cylinder during periods with frost as the openers may try to open the windows when the sun warms up the cylinders. If the windows are frozen, this may cause the cylinders to burst due to their demand for getting rid of their surplus energy.. If you have any questions about this product by Juliana Greenhouses, contact us by completing and submitting the form below. If you are looking for a specif part number, please include it with your message.